A compelling dual-narrated tale from Jennifer Latham that questions how far we've come with race relations. Jennifer Latham is an army brat with a soft spot for kids, books, and poorly behaved dogs. She's the author of Scarlett Undercover and lives in Tulsa, Oklahoma, with her husband and two daughters. 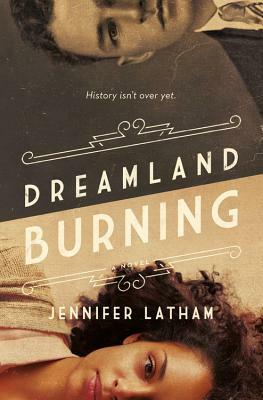 * "Latham presents a fast-paced historical novel brimming with unsparing detail and unshakeable truths about a shameful chapter in American history... An unflinching, superbly written story about family, friendship, and integrity, set during one of America's deadliest race riots." * "Latham masterfully weaves together the story of two well-off, mixed-race teenagers--Rowan, in the present, and Will, who lived in Tulsa in 1921--in this fast-paced, tension-filled look at race, privilege, and violence in America... This timely story gives readers an unflinching look at the problem of racism, both past and present, while simultaneously offering the hope of overcoming that hatred."